If you've spent literally any time online in the past few years, you're probably familiar with Shea Serrano and his prolific, hilarious, one-of-a-kind Twitter account. A staff writer with The Ringer, and New York Times best-selling author, Serrano's writing, sense of humor and generosity have garnered him an almost cult-like following online, where his fans (if you want to call them that), the #FOH Army, will send him pictures after big life events such as getting engaged, and answer the call when he asks for donations to help people in need. Recently, following Serrano's initial push, they raised over $100,000 for Hurricane Harvey victims. In the age of social media and #brands, Serrano has turned himself into a formidable one-man marketing machine. 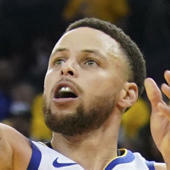 In the months leading up to the release of his latest book, Basketball (And Other Things), he generated over 24,000 pre-sales, almost exclusively through social media. Shortly after the release of B(AOT), CBS Sports talked with Serrano about the book and basketball. How are you feeling now that the book is actually out? At the moment I'm feeling frustrated because a bunch of the shipments weren't able to be fulfilled because we sold more copies than the publisher thought we were gonna sell for some reason. Ah, man. Yeah, that's a weird feeling because you're happy you sold a ton of copies, but people can't even read it. Well, the waiting period is actually a lot less than that, because for a book like this we're going through proofs, where they're sending me all of the pages to make sure all of the colors are right, junk like that. So that happens all the way up until about a month out or something, and then they start printing them all. There's less downtime than you would think, but yeah, once the book is done, once I finished writing it, and once I have a digital version of it I want it to be out. I'm ready to do it that day. I'm used to writing things and they're published 20 minutes later. I would feel nervous waiting that long. Like a sense of doubt and second guessing myself. Oh yeah, that's a big part of it. That's definitely a big part of it. If you were trying to pitch this book ... If you were trying to explain it to someone that was completely unfamiliar -- it's so broad -- what would you tell people this book is about? I would just say it's the coolest basketball book that's ever been created. There's never been a book like it. I would just try to oversell it. I would tell them there's a picture in there of Dominique Wilkins dunking on Jesus. So go buy it. Speaking of the actual book, what was your favorite chapter to write? I had the most fun doing the disrespectful dunk chapters. Mainly because the research there just involved watching old dunk videos and learning all the parts of that. Which is a cool way to spend a few weeks. How long did it take you to come up with all the ideas for the different chapters? That probably takes … well, you start out with a general list. I had maybe 35-40 ideas I was going to do. Then as you're writing it you come up with other ones or different ones as well. So it just sort of evolves over time. I think all told it maybe took a few months before I had all of the questions that I wanted settled in. And then even after that, I would sit down to start working on the chapter, and you'll notice it in there, some chapters are two parts or three parts. It just ended up being way longer than I thought it was gonna be, so I had to eliminate some other chapters to make room for those ones to do them how I wanted to do them. It was kind of just a rolling process. You have the chapter where you imagine Karl Malone switching places with a bear. Were there any ideas where they're just like, 'OK, this is too weird,' you can't do this? No, we've gone past that part of our relationship, the publisher and I have. Now they're basically just like we'll assume you know what you're doing, and they just let me do what I wanna do. NBA team Twitter accounts have said they're buying the book, musicians have said the same. You've sold tens of thousands of copies already. What's been the coolest part of the process for you so far? You've become pretty popular, pretty famous, especially on Twitter. People will even send you pictures right after they've gotten engaged. Do you ever think this is too much? No, because when people send that stuff, they send those pictures, it's always a good thing. I just got a job, I just got engaged, I just got into grad school or whatever. That's always fun for me. Especially if I get to pretend I had any part in that at all, even though I know I didn't. But just to be, 'Oh, that's cool, they want to send that over as a tribute of sorts.' That's a cool thing. I think if I was getting a bunch of negative stuff all the time, maybe it would feel like too much. But it's 98 percent people being nice, so it's been cool. Okay, switching gears a bit, let's talk a little basketball. First, obviously, what are you feeling about the Spurs for this season? I feel great, I feel like we're gonna get to the second round of the playoffs again, and we're gonna play the Rockets, and that's gonna be the Texas state championship. Besides the Spurs, who is your favorite guy to watch in the league right now? Definitely [Russell] Westbrook. That's especially gonna be true this season when he's going crazy with teammates now. Are you in or out on the new All-Star Game format with the playground style picks? I'm really hoping they televise it. I think that would be fascinating to watch. It would be incredibly stupid for them to not to televise it. They have to televise it. I think J.R. [Smith] said he hopes they don't, because it would be awkward for the players. Who do you think right now is the best musician-basketball player? I don't know. I'm gonna go Victor Oladipo. [His new album's] an R&B album right? And I heard him sing the national anthem one time, so I'm gonna go with him. Last one. If you had to play a two-on-two game and you could pick anyone in the league as your partner, who are you going with? I want Kawhi. That's my guy. Basketball (And Other Things) is available at Barnes & Noble.